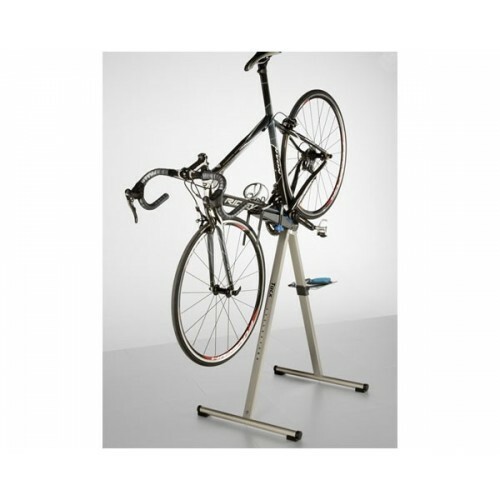 Collapsible repair stand for small and simple repairs. You can tilt the whole bike to the front; this is especially handy when you are working on headset or handlebars. 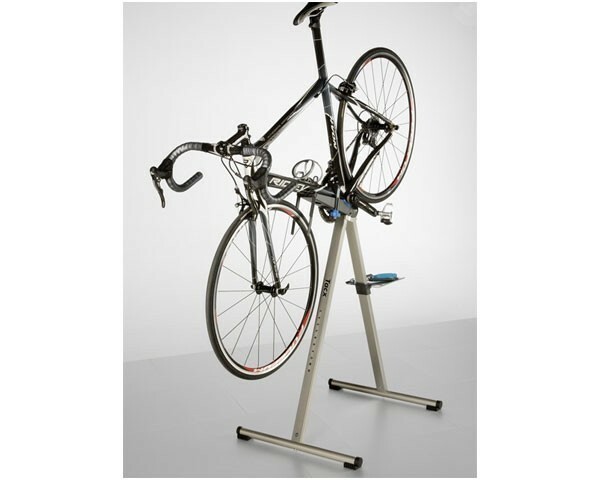 The stand is equipped with a mobile assembly tray and front wheel guides that will prevent the handlebars from turning sideways. Plastic parts prevent paint damage to the frame. Watch out: The stand is not suited for bicycles, in particular mountain bikes, with a diverging bracket.